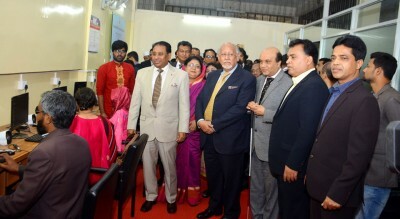 Bangladesh: Professor Dr. Iftekhar Uddin Chowdhury, Vice-Chancellor of University of Chittagong, inaugurated a state of the art “Accessible E-learning Center” for the visually impaired students studying at the University. A.K. Khan Foundation, a2i programme of Bangladesh Government and YPSA (Young Power in Social Action) jointly established the Accessible E-learning Center which was formally inaugurated on 7th January, 2019. Addressing the programme as chief guest, CU VC Prof. Iftekhar said the e-learning centre is a part of a plan to build CU as an inclusive university as it has been declared as the first Inclusive University in Bangladesh. He also added, “Physically challenged students will be highly benefitted by the centre, as it was set up keeping their disabilities in mind,” he said, adding that by using the e-learning centre, they would be able to cope with the era of information technology and enhance their ability in the sector. 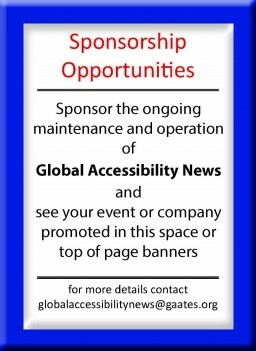 Also, Additional Secretary and Project Director, a2i Programme, Md. Mustafizur Rahman; Salahuddin Kasem Khan, Trustee Secretary, A.K. Khan Foundation were present as special guests at the function. Vashkar Bhattacharjee, 2nd vice president of GAATES (Global Alliance on Accessible Technologies & Environments) and National Consultant, a2i Program, in his introductory speech, said, “This e-learning center is equipped with computers, all types of software and hardware tools (known as adaptive or assertive technologies), more than 200 Digital Talking Books, Accessible Dictionary, 300 booklets, 50 Braille books, and ICT training facility for visually impaired students studying at the university. He concluded with a hope that such effective and innovative initiatives would be expanding for all the universities across Bangladesh. Professor Dr. Shireen Akter, Pro Vice-Chancellor, University of Chittagong presided over the programme and Md. Arifur Rahman, Chief Executive, YPSA, moderated the programme.